Pakistani doctors are the most underpaid professionals in the country as the salaries of doctors in Pakistan are less than what doctors earn in neighbouring countries. The Punjab government has kept Rs 17 billion in the current budget to build new hospitals and medical colleges in the province without keeping a single penny for doctors’ service structure and special salary packages in the budget. 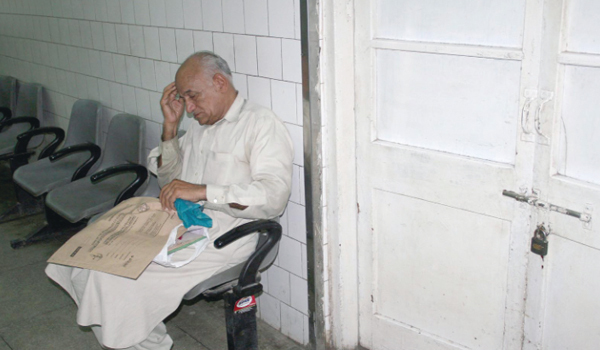 It is probable that the government planned to run these hospitals without doctors. According to statistics, there was not even a single vascular surgeon, rheumatologist or ICU specialists in the entire province but the government was not ready to accept their fault. 2, 000 doctors are estimated to have left the country in search of better salary packages last year, causing an acute shortage of doctors in the province. The YDA’s office bearers have expressed grave concern over the fact that the Punjab government was falsely projecting in the media that the doctors in the province were paid the highest salaries among the government servants. They stated that the government had allocated Rs 17 billion for building new hospitals but was not ready to give the doctors Rs 6 billion required to fulfill their demands. They added that Rs 760 million was required to raise the stipend of the 5,000 house officers and postgraduate trainees and Rs 860 million was required to raise the grade of all doctors. The rest was required to raise the HPA and NPA. They demanded the Punjab chief minister to fulfill the genuine demands of the doctors in order to settle down the unrest in the doctors’ community.